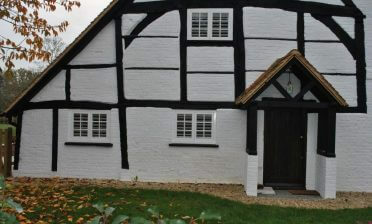 We were in one of our local areas of Beckenham, Kent to fit some shutters to a client’s bathroom. 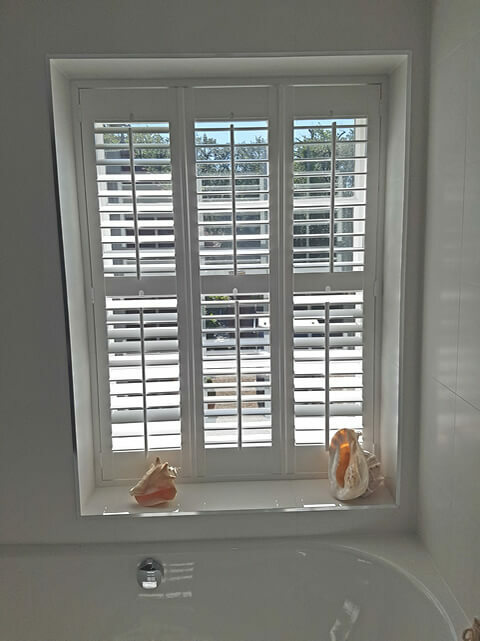 It was important that these shutters were fully waterproof and moisture resistant due to them being in such close proximity of the bath tub. Daniel was on hand to take exacting measurements for us to then design and build the shutters in preparation for installation which was carried out by Mark. By using material from our Java Range of shutters we were able to create water resistant shutters that are able to withstand moisture and also wet hands adjusting the louvres. 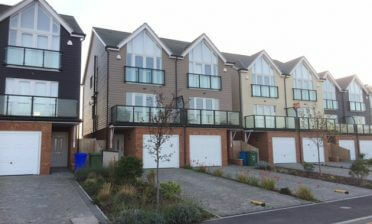 The shutters were created in a full height style with mid rails in the centre allowing for adjustment of the top and bottom louvres independently. 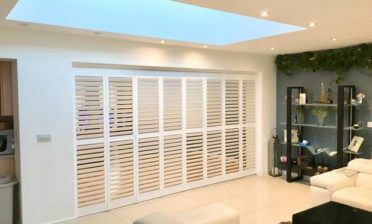 The shutters were finished in white with 64mm louvres and centralised tilt rods. They work fantastically with the bathrooms decor and blend in naturally with the window and overall look.